Going through airport security can be a little scary, even if your carry-on luggage only contains underwear and chocolate bars (all the essentials). When you don't know what physical or behavioral qualities the TSA looks for in potential terrorist threats, it's easy to start overthinking every move you make while slowly weaving your way through the security line: What if my eyes are bloodshot from exhaustion and they think I'm on drugs? What if I accidentally packed a full-size can of hairspray in my carry-on and they think it's a chemical weapon? Well you can stop worrying because we now have TSA's checklist of terror signals. Obtained and published by The Intercept on Friday, TSA's confidential documents instructing TSA officials what to look for in airport security contain some things we're all guilty of. Exaggerated yawning, excessive throat clearing, and complaining about the screening process could all make you seem like a potential threat, but honestly, who doesn't complain about airport security? And yawning isn't necessarily a characteristic of terrorists, but of people who need more sleep, which will only affect the person on the plane who's shoulder they fall asleep on (seriously, guys, don't be that person). The TSA's program to identify potential threats, the Screening of Passengers by Observation Techniques (SPOT), focuses on behaviors that could indicate stress or deception. 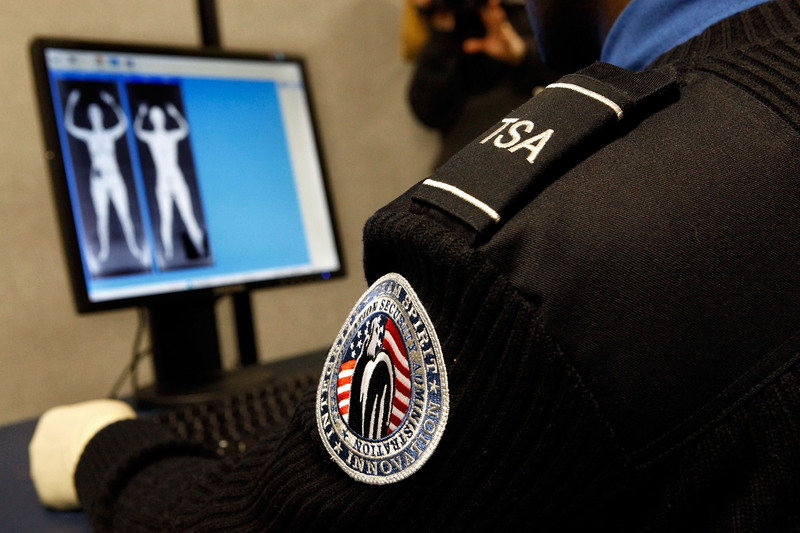 A federal review concluded in 2013 that there was no solid evidence proving that TSA employs scanning security lines for suspicious behavior is effective, yet $900 million has been spent on this program since it began in 2007. The checklist of suspicious behaviors in the Spot Referral Report lists 92 things officials should look for, with each behavior counting as either one, two, or three points against a traveller. Points can also be deducted from someone's score for characteristics that make them less suspicious, like being a woman over the age of 55. It's unclear how many points deems a person a potential threat, but with all the extremely normal behaviors on the list, I'm surprised I haven't been pulled aside before. Here are some of the things to avoid doing while going through security if you don't want to be held for questioning. The TSA has insisted on keeping documents about SPOT secret, but the agency can’t hide the fact that there’s no evidence the program works. Thanks to The Intercept, some of those documents are now available to the public and reveal how normative many of the behaviors on SPOT's checklist are.